PokerStars Casino is giving all new player the chance to claim three 100% match bonuses to celebrating its 3rd birthday this month, You'll also be able to take part in other generous promotions including prize draws and giveaways. Sign up as a new player to PokerStars this month and claim three 100% match bonuses on your first three deposits. PokerStars entered the online casino market three years ago this month, and has quickly made a name for itself as more than a popular room. Celebrating three years of being a top-rated online casino, PokerStars is providing all new players with the chance to claimthree generous welcome bonuses over the course of your first three deposits. The bonus cash that you receive will be used to play Stars Mega Spin – a brand-new progressive jackpot at PokerStars Casino. The game offers you the chance to win life-changing prizes. Sharing a prize pool with Millionaires Island, which paid out an impressive$5 million prize earlier this year, Stars Mega Spin has the potential to pay out some life-changing prizes to lucky PokerStars Casino players. Since this a limited time offer, PokerStars Casino is still giving you the chance to earn a fantastic welcome bonus once the birthday celebrations are over. 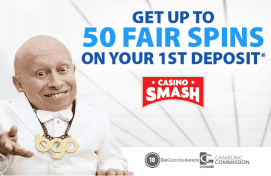 You can claim a whopping 200% match bonus up to $400 – essentially tripling your first deposit. To convert your bonuses into withdrawable cash, you must earn three redemption points for every dollar of the bonus before the bonus expires. 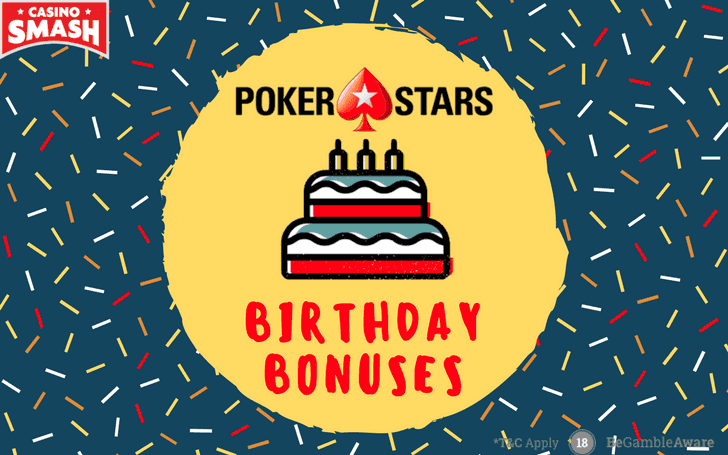 Until the end of the month, PokerStars is hosting plenty of more birthday promotions – in the form of daily giveaways. Until November 30, you’ll be able to access Stars Mega Spin puzzles every day in your Challenge Window. Once you opt-in, you can collect puzzle pieces by completing your challenges for the day. When you collect all three pieces, you’ll be entered into a generous$5000 prize draw! You can play again the next day to earn multiple entries to boost your odds of cashing in on this amazing prize. There’s also a great leaderboard promotion for Live Dealer players. Over $200 000 in prizes are available for the top players, with a huge $25 000 grand prize! Bonus info: terms and conditions apply to the offer. If something isn't clear, have a look at our review of PokerStars Casino for the T&Cs in full. The offer on this article might have expired by the time you read it. Please refer to the review pages for the latest bonuses and promotions available. Get 50 Fair Spins with No Wagering Requirements!